At the farm we have lots of arugula. I love how fresh and zingy it tastes! 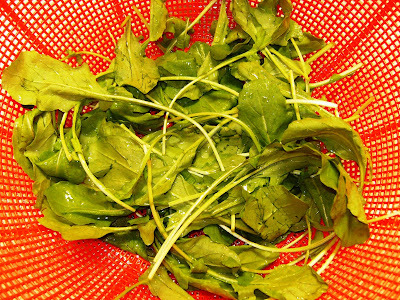 Having so much arugula, I decided to make pesto with it, and freeze it for later in the year. Pesto at it's most basic is just leafy green (usually basil), garlic and olive oil blended together. I made a batch of arugula/garlic/oil only and it tastes wonderful. Oh, I did also add homemade herb salts as well. 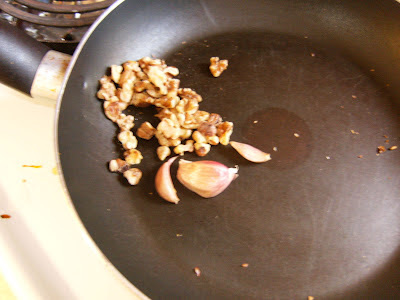 Other batches I made included walnuts, and/or parmesan cheese. Pine nuts is a popular choice as well. The secret to making it exceptional is to roast your garlic and nuts until they are nicely browned. 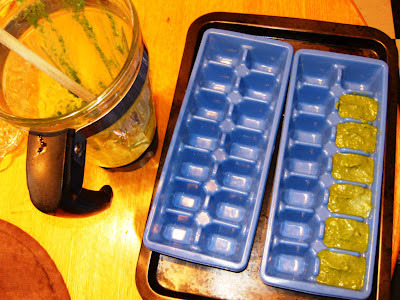 I freeze my pesto in icecube trays. Once frozen, I transfer them to ziplock bags with the number of cubes I think I'll use for one recipe. 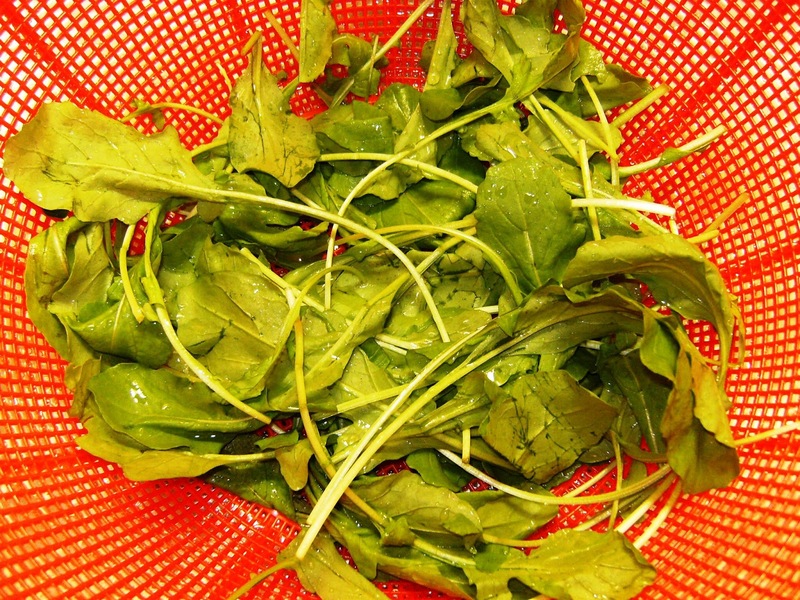 It's found in mesclun mix, tastes a bit mustardy, and is also called rocket. Now does it sound familiar?